Following a review of their 2003 cooperation protocol, IHEU and the European Humanist Federation have agreed a revised and updated version. IHEU and EHF agree to work towards a vision of a united organisation with EHF as a regional section of IHEU. We note that this is compatible with EHF retaining an independent legal identity. Meanwhile, we have agreed on the following revised protocol agreement. 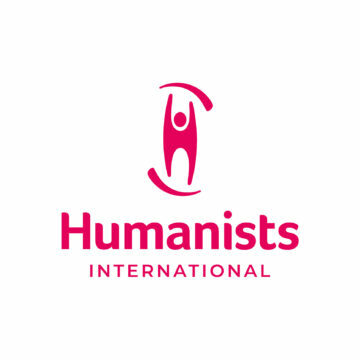 Both IHEU and EHF are working for humanism and trying to attain the same general goals. Both organisations see the need for co-operation so that our goals can be achieved. As a consequence of this, we agree to work together in a spirit of co-operation and non-competition, using this protocol agreement as the basis of our work for humanism. Currently EHF is recognised as a partner for dialogue with the European Union, and IHEU has participative status with the Council of Europe. 1.Major policy decisions on humanism will as a rule be made by IHEU. The work of EHF will be based on such policy principles, adapted if necessary to European conditions. 2.EHF promotes humanism in Europe, and represents its members in the institutions of the European Union and the OSCE. IHEU will consult EHF about its work in the Council of Europe and consider an EHF nominee as one of its representatives there. 3.The two organisations will, whenever possible, co-ordinate their strategy before taking action on European questions in general. 4.EHF and IHEU will regularly exchange their calendar of events. 5.EHF and IHEU will work together on strategy and issues of common interest. 6.A co-ordinating meeting of several members of both IHEU EC and EHF Board will be organised at least once a year and more often if necessary, at which information will be shared, particularly on any planned fundraising from European institutions. 7.EHF and IHEU will try to co-ordinate their GAs when IHEU’s is held in Europe. 8.Both organisations will present and promote a positive image of the other organisation to member organisations and the wider community. 9.Both organisations will do their best to promote to their member organisations that it is in the best interest of international humanism that all European organisations be members of both IHEU and EHF. We shall exchange lists of member organisations and keep each other informed of changes. 10.Both organisations will collaborate to help, support and develop new or emerging humanist organisations. 11.Both organisations will use the IHEU minimum statement as a membership criterion and, when evaluating new membership applications from European organisations, each will consult the other before membership is accepted. 12.Both organisations will maintain easily accessible links to each other on their websites. 13.IHEU and EHF will in their newsletters and in other media provide information on the work of the other organisation when it is natural to do so. 15.Each organisation will designate the person to be responsible for regular contact with the other. Agreed by the IHEU EC (December 2008) and EHF Board (January 2009), this agreement will be implemented in good faith by both parties. Any breach of the agreement should be addressed in a common meeting as soon as possible. The protocol agreement will be evaluated after two years. Agreed by Steinar Nilsen, Claude Wachetelaer and Georges Lienard on behalf of EHF and Robbi Robson, Rob Buitenweg and Roar Johnsen on behalf of the IHEU. Agreed by David Pollock, Suzy Mommaerts and Rob Buitenweg on behalf of EHF and Sonja Eggerickx, Roar Johnsen and Roger Lepeix on behalf of the IHEU.